seems like watching great TV on those services soon becomes sparse, especially when cable is no longer available on campus. But I have a suggestion for those that can relate. It is a show that has been out for several years now and has just released their fourth season: Black Mirror. This show first was released on Netflix in December, 2011 and has grown in popularity ever since. 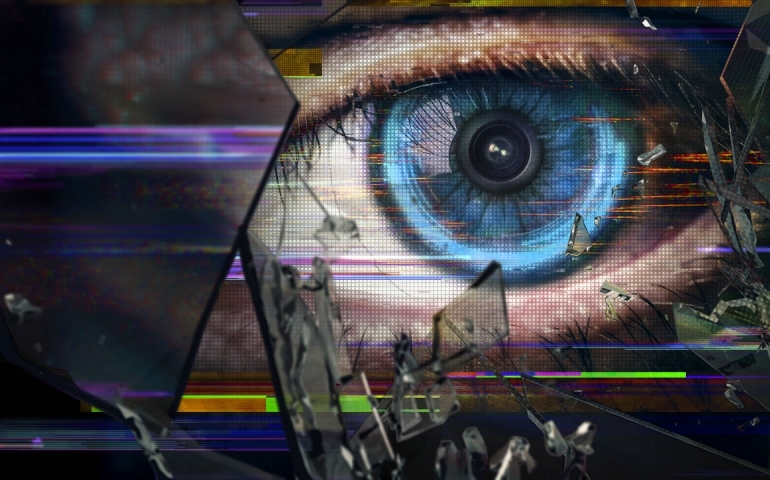 Being very similar to the older television series The Twilight Zone, Black Mirror features individual drama stories that each tell a tale of the world in context of a new form of technology which begs ethical questions. With whatever new kind of technology that may be present in each individual episode, there always comes a problem. This continued theme seems to suggest a warning for viewers in a sharp, exciting way that a continued progression and reliance on computers may result in serious consequences. While the newest season is not my favorite, it does have a couple of episodes that were among some of their best (Spoilers Ahead). The first episode, “USS Callister,” is among the most popular of them. In this episode, one of the creators of an advanced virtual reality gaming system, Robert Daley, becomes jealous of his CEO counterpart basking in the company’s glory and grows in anger toward those in the workplace who wrong him or who he simply cannot control in the manner he wants. As a result, he uses an impressive technological device to copy DNA of those he chooses and places them in his very own VR experience, which happens to be based on his “Star Trek-like” fandom. With these copied co-workers trapped in this game where only Daley is in control and can even torture them, this group seeks to work together to free themselves from the game and expose Daley’s sick joys in the real world. It should be warned that whatever episode you choose to watch since you can watch them out of order, the ethical dilemmas portrayed in the show are meant to reveal mankind’s darkest hidden parts. Often what is done in these episodes are difficult to watch because of this revealing which creates further brokenness. This show is not for the faint of heart, so you may be shocked in watching some of these episodes but do not be surprised that you are shocked. The show’s purpose of the title is meant to illustrate the image of a phone or computer that is turned off, making the black screen look like a black mirror, which in itself is a horrifying thought. But I believe the creators of the show had a dual purpose in its name. Perhaps Black Mirror is also meant to describe a mirror in front of us revealing who we really are in our truest natures, yet for one reason or another we cannot see our reflection in this darkened mirror and cannot see the roads we are heading on as we continue to rely on our technological future. Whether you decide you like this show or not, you certainly won’t leave thinking the show and its themes weren’t interesting!